f/14 and Be There. Why? And Some Amazing 5D Mark IV Image Quality. It is Sunday morning and it is raining hard here at ILE. But it is strangely calm. Dead calm. The calm before the storm. My good wishes go out to my fellow Floridians and to all who wind up being affected by Irma. Right now there are 100mph gusts in the lower Keys and the storm is headed up the west coast of Florida. Thanks to all for their concerned and loving e-mails and blog comments. Today marks forty-seven days in a row with a new educational blog post. This one took about 90 minutes to prepare. With all of my upcoming free time (or not …), the plan right now is to break the current record streak of (I think) four hundred eighty something … Good health and good internet connections willing. Everybody’s buying and selling used gear on the BAA Used Gear Page. Sales recently have been through the roof. 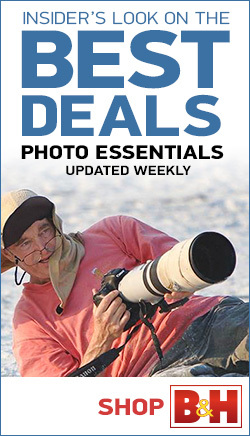 Selling your used (or like-new) photo gear through the BAA Blog or via a BAA Online Bulletin is a great idea. We charge only a 5% commission. One of the more popular used gear for sale sites charged a minimum of 20%. Plus assorted fees! Yikes. They recently folded. And eBay fees are now in the 13% range. The minimum item price here is $500 (or less for a $25 fee). If you are interested please e-mail with the words Items for Sale Info Request cut and pasted into the Subject line :). Stuff that is priced fairly–I offer free pricing advice, usually sells in no time flat. In the past few months, we have sold just about everything in sight. Do know that prices on some items like the EOS-1D Mark IV, the old Canon 500mm, the EOS-7D, and the original 400mm IS DO lens have been dropping steadily. Even the prices on the new 600 II and the 200-400 with Internal Extender have been plummeting. You can see all current listings by clicking here or by clicking on the Used Photo Gear tab on the right side of the yellow-orange menu bar at the top of each blog post. 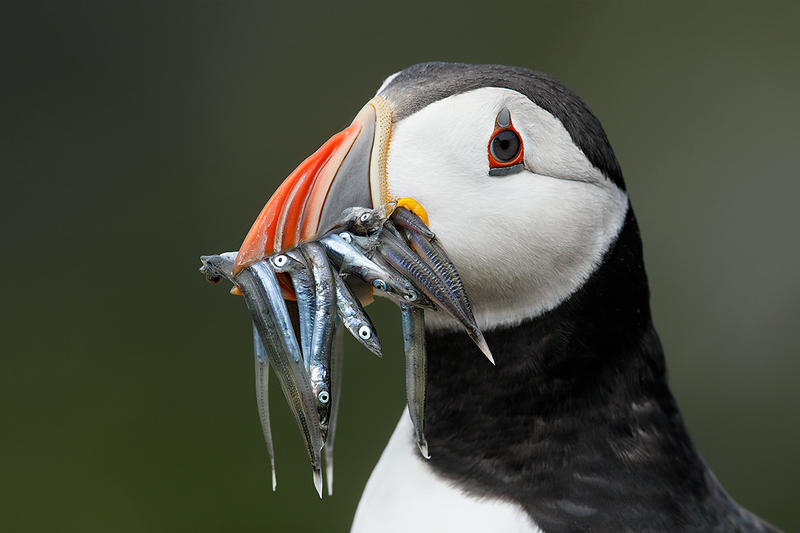 I could not secure the lodging that I needed for last year’s UK Puffins and Gannets IPT in Dunbar, Scotland, so I went from Hotels.Com to Booking.Com and was pleasantly surprised. I found the rooms that I needed with ease at a hotel that was not even on Hotels.Com, and it was a nice hotel that I had seen in person. And the rates were great. If you’d like to give Booking.Com a shot, click here and you will earn a $25 reward. Thanks to the many who have already tried and used this great service. I recently updated the IPT page. If you doubt that I am really slowing down, click here to see the meager IPT schedule. Right now there are only two US-based IPTs on the schedule. Best news is I now have two folks registered for the Fort DeSoto IPT so that will run. Do consider joining us if you would like to learn from the best. 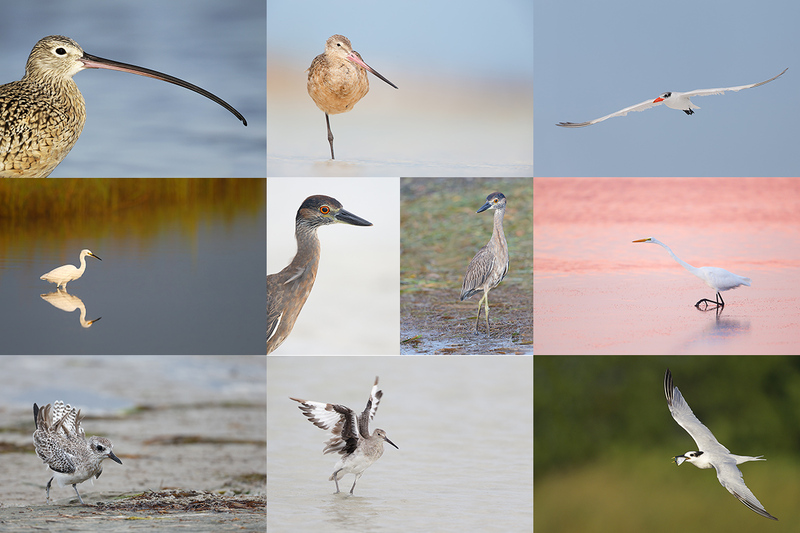 If you would like to learn to become a much better bird photographer, consider joining me on either the Fort DeSoto IPT in late September or the San Diego IPT in January, 2018. With four folks signed up, DeSoto will offer practically private instruction. And you can tack on the In-the-Field/Meet-up Workshop Session on the morning of Tuesday September 26, 2017 for free. Scroll down for details. 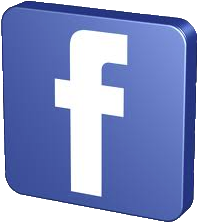 Click here for complete IPT info and the current but abbreviated schedule. As always–and many folks have been doing a really great job for a long time now–please remember to use the BAA B&H links for your major and minor gear purchases. For best results, use one of our many product-specific links; after clicking on one of those you can continue shopping with all subsequent purchases invisibly tracked to BAA. Your doing so is always greatly appreciated. Please remember: web orders only. And please remember also that if you are shopping for items that we carry in the BAA Online Store (as noted in red at the close of this post below) we would of course appreciate your business. Be sure to click on the image so that you can read the fine print. Note that the histogram is pretty much perfect. 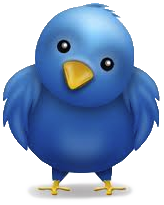 The RGB values for the brightest WHITEs on the bird’s forehead are 239, 239, 238. As time has gone by I have been inching up from the mid-230s to the high 230s (and sometimes into the very low 240s). But there is a bit of room with all three channels between the end of the data on the right side of the histogram and the highlight axis. On the left side of the histogram only the BLUE channel comes close to touching the dark axis. As I said, pretty much perfect right out of camera. For 35 years I have been focusing right on the bird’s eye, shooting wide open or very close to it, and damning the depth of field (or lack thereof). But when I am working very tight, close to the minimum focusing distance of the lens (in this case a quite excellent 12.14 feet (3.7 meters), I have learned that I need to stop down quite a bit. 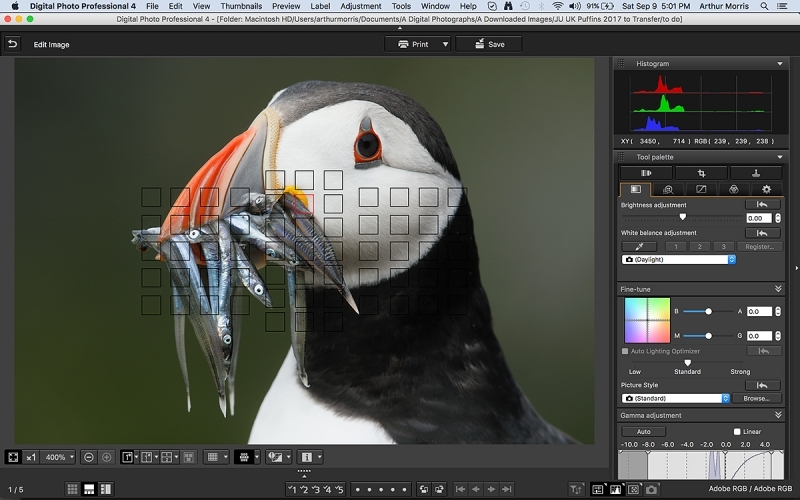 I used f/16 to create the spectacular Puffin in Heaven image in the blog post here. I made about 100 images of this bird –heck, it had lots of fish in the bill and a nice, soft, out of focus background of relatively uniform tonality. Today’s featured image was the best by far. Why? The head angle is dead-solid perfect for the situation, and the selected AF point (illuminated in red above) was on the base of the bird’s bill. With the perfect amount of head turn toward us the base of the bill was on a plane equidistant from the bird’s eye and the heads of the closest fish. Remember that with extremely long focal lengths (like 1000mm), depth of field is split very close to 50/50 with half the depth of field in front of the point of focus and half behind. That is a far cry from the one-third in front/two thirds behind that you get with short and with wide angle lenses. If you would like to be there next July, please e-mail for advance information on the 2018 UK Puffins and Gannets IPT and the Bempton Cliffs pre-trip and for dates and prices. This image was created on the fabulous morning of Day 3 of the 2017 UK Puffins and Gannets IPT with the Induro GIT 304L/Mongoose M3.6-mounted Canon EF 500mm f/4L IS II USM lens, the Canon Extender EF 2X III, and my favorite puffin with fish photography camera body, the Canon EOS 5D Mark IV. 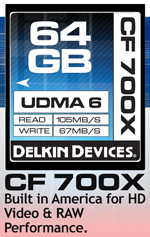 ISO 800. Evaluative metering +1/3 stop as framed: 1/500 sec. at f/14 in Manual mode. Daylight WB. Two rows up from the center AF point/AI Servo/Expand/Shutter button AF was active at the moment of exposure. The selected AF point was on eye of the bottom right edge of the orange rosette at the base of the bill. Be sure to click on the image to enjoy a larger version. As I was optimizing this image just last night (Saturday), I was thinking that the process was quite representative of my current workflow. I converted the image in DPP 4 without much fanfare after loading my 5DIV/ISO 800 recipe. Once in Photoshop I began with some Eye Doctor work judiciously lightening the iris and darkening the pupil using Tim Grey Dodge and Burn. Then I added a bit of canvas above and in front of the bird using John Haedo Content Aware Fill. Next I spent a good amount of time selecting the bird accurately. I used my old friend the Quick Selection Tool (my keyboard Shortcut W) and my new friends — the plus and minus Lasso Tools — to refine the selection. Then I feathered the selection .7 pixels and saved it as “Bird.” Next I put the bird on its own layer (Command + J) and applied my NIK 30/30 recipe and a Contrast Mask. Then — after loading the selection — I ran NeatImage noise reduction applying 65% to the bird and 100% to the background (as detailed brilliantly in The Professional Post Processing Guide. Then I saved the TIFF and then created the JPEGs that I needed for this blog post. The BIRDS AS ART Current Workflow e-Guide (Digital Basics II) will teach you an efficient Mac/Photo Mechanic/Photoshop workflow that will make it easy for you to make your images better in Photoshop (rather than worse). That true whether you convert your images in DPP 4 or ACR. See the blog post here to learn lots more and to read a free excerpt. 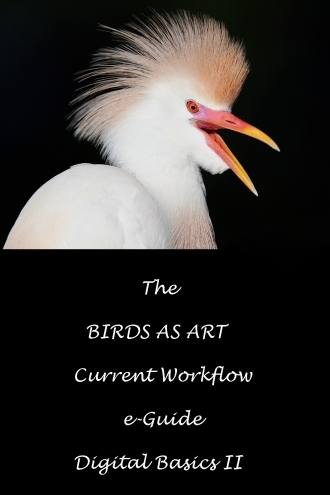 Every single thing mentioned above is covered in detail in the BIRDS AS ART Current Workflow e-Guide (Digital Basics II), an instructional PDF that is sent via e-mail. Learn more and check out the free excerpt in the blog post here. The new e-Guide reflects my Macbook Pro/Photo Mechanic/DPP 4/Photoshop workflow. Do note that you will find the RGB Curves Adjustment Color Balancing tutorial only in the new e-guide. Note: folks working on a PC and/or those who do not want to miss anything Photoshop may wish to purchase the original Digital Basics along with DB II while saving $15 by clicking here to buy the DB Bundle. Folks who learn well by following along rather than by reading, can check out the complete collection of MP 4 Photoshop Tutorial Videos by clicking here. 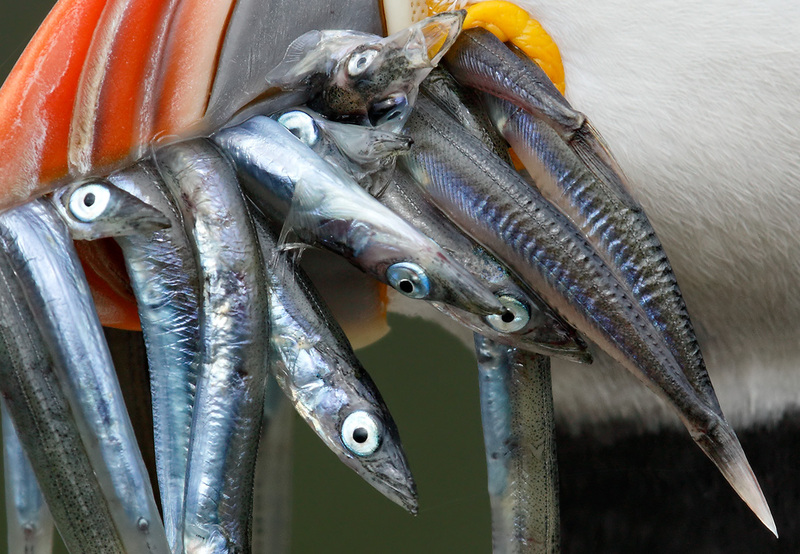 How does the image quality and sharpness of this 100% crop of the bird’s face and fish look to you? The Fort DeSoto 2017 Fall IPT/September 22 (afternoon session) through the full day on September 25, 2017. 3 1/2 FULL DAYs: $1649. Limit 8/openings 4. Fort DeSoto, located just south of St. Petersburg, FL, is a mecca for migrant shorebirds and terns in fall. There they join hundreds of egrets, herons, night-herons, gulls, and terns who winter on the T-shaped peninsula that serves as their wintering grounds. With luck, we may get to photograph two of Florida’s most desirable shorebird species: Marbled Godwit and the spectacular Long-billed Curlew. Black-bellied Plover and Willet are easy, American Oystercatcher almost guaranteed. Great Egret, Snowy Egret, Great Blue Heron, and Tricolored Heron are easy as well and we will almost surely come up with a tame Yellow-crowned Night-Heron or two. We should get to do some Brown Pelican flight photography. And Royal, Sandwich, Forster’s, and Caspian Terns will likely provide us with some good flight opportunities as well. Though not guaranteed Roseate Spoonbill and Wood Stork would not be unexpected. Folks who sign up for the IPT are welcome to join us on the ITF/MWS on the morning of Tuesday, September 26 as my guest. See below for details on that. On the IPT you will learn basics and fine points of digital exposure and to get the right exposure every time after making a single test exposure, how to approach free and wild birds without disturbing them, to understand and predict bird behavior, to identify many species of shorebirds, to spot the good situations, to choose the best perspective, to see and understand the light, and to design pleasing images by mastering your camera’s AF system. And you will learn how and why to work in Manual mode (even if you’re scared of it). The best airport is Tampa (TPA). Register soon so that you can be assured of a room at the IPT hotel. A $500 deposit is due when you sign up and is payable by credit card. Balances must be paid by check after you register. Your deposit is non-refundable unless the IPT sells out with ten folks so please check your plans carefully before committing. You can register by calling Jim or Jennifer during weekday business hours at 863-692-0906 with a credit card in hand or by sending a check as follows: make the check out to: BIRDS AS ART and send it via US mail here: BIRDS AS ART, PO BOX 7245, Indian Lake Estates, FL 33855. You will receive a confirmation e-mail with detailed instructions, gear advice, and instructions for meeting on the afternoon of Friday, September 22. 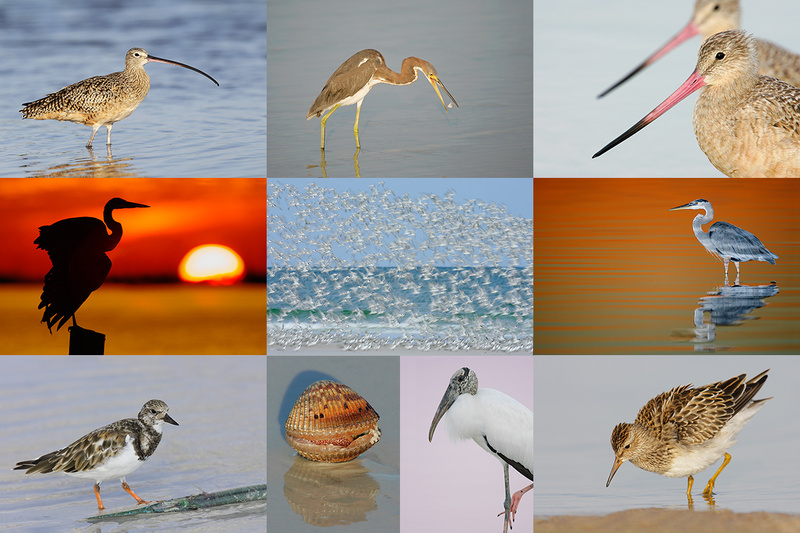 BIRDS AS ART In-the-Field/Meet-up Workshop Session (ITF/MWS): $99. Join me on the morning of Tuesday September 26, 2017 for 3-hours of photographic instruction at Fort DeSoto Park. Beginners are welcome. Lenses of 300mm or longer are recommended but even those with 70-200s should get to make some nice images. Teleconverters are always a plus. You will learn the basics of digital exposure and image design, autofocus basics, and how to get close to free and wild birds. 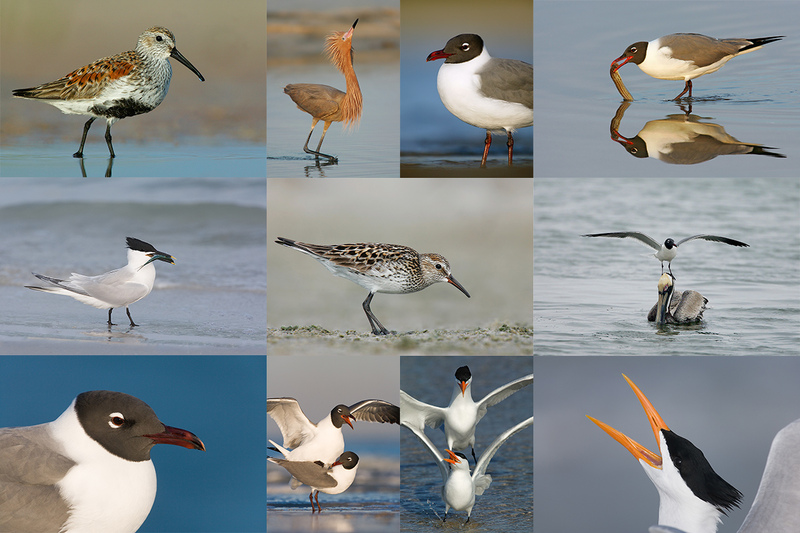 We should get to photograph a variety of wading birds, shorebirds, terns, and gulls. This inexpensive afternoon workshop is designed to give folks a taste of the level and the quality of instruction that is provided on a BIRDS AS ART Instructional Photo-tour. I hope to meet you there. To register please call Jim or Jennifer during weekday business hours at 863-692-0906 with a credit card in hand to pay the nominal non-refundable registration fee. 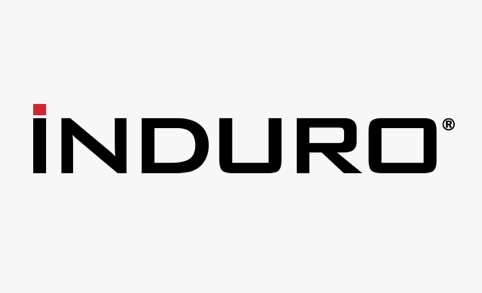 You will receive a short e-mail with instructions, gear advice, and meeting place at least two weeks before the event. 9 comments to f/14 and Be There. Why? And Some Amazing 5D Mark IV Image Quality. Hey Arthur, I always heard f8 and be there. That unsharpened 100% crop is insanely sharp. Hi Artie, stunning image. I love everything about this image, the detail and quality in the 100% crop is absolutely amazing. Is there some sort of strand between the farthest part of the end fish and the bird’s beak? If there is I think I would remove it, well I am not sure. Hope all remains OK in terms of Irma. Artie: amazing image, and the 100% crop is amazing as well. Talking of amazing images, those on my TV screen are amazing as well. We are so much better off in this country than many in the Caribbean and in India and Bangladesh, and it’s more than bad enough here (Houston, Keys, other places). Stay dry and safe and away from trees. Thanks. Plan on joining me there in 2018 and then on the Galapagos trip in 2019. Life is short. Many thanks for the kind words, and yes, we are very blessed. I wish you Artie, your family, friends and your fellow Floridians to stay safe before, during and after Irma passes by. I’m sure that all of will understand if this amazing streak of yours could be affected during this trying time. Stay safe. I wish you the best before, during and after the storm. Here in the Miami-Broward area we’ve been feeling those high winds since early morning and the storm will get closer to us at around 2pm. All my shutters are up and hoping for the best. My prayers go to everybody that is going to be affected. Be safe and God Bless! Good luck Juan. Looks as if east and central might have caught a bit of a break. Time will tell. And thanks.